Barbara Byrd-Bennett corruption indictment: Ex-CPS CEO cooperates with investigation. Chicago Mayor Rahm Emanuel appointed Barbara Byrd-Bennett CEO of Chicago Public Schools in 2012. 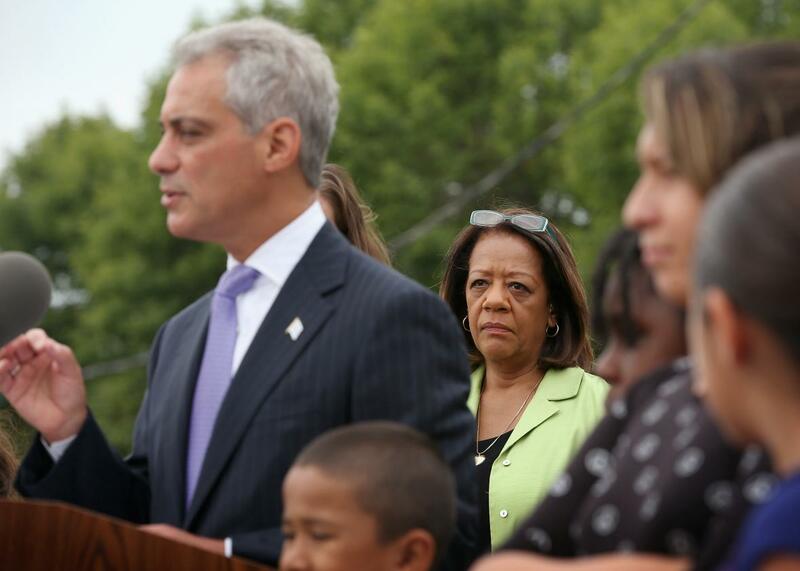 Above, Byrd-Bennett listens as Emanuel announces additions to the city’s all-day kindergarten program during a visit to Tonti Elementary School on Aug. 5, 2013. Chicago has long been synonymous with political corruption, as exemplified by the joke about the woman who requested in her will to be buried in Chicago so she could stay active in local politics. And Illinois, of course, boasts the unique distinction of having sent four of its last seven governors to prison. Given this illustrious history, it should come as no great shocker that Barbara Byrd-Bennett, the former CEO of Chicago Public Schools, was indicted Thursday for her role in a massive bribery scheme. Byrd-Bennett, 66, is cooperating with the investigation and has indicated that she will plead guilty for her role in awarding SUPES Academy, a for-profit education-consulting firm and her former employer, and another firm $23 million in no-bid contracts for “leadership development” programs. In return, Byrd-Bennett was to receive a 10 percent cut of any business SUPES landed, or about $2.3 million. To conceal the kickbacks, SUPES planned to deposit the proceeds in college funds for two of Byrd-Bennett’s relatives and award her the rest as a “signing bonus” when her time at CPS came to an end and she returned to SUPES as a consultant. Mayor Rahm Emanuel had tapped Byrd-Bennett, a former executive in both the Cleveland and Detroit school systems, to lead CPS, the third-largest school district in the country, in the aftermath of the weeklong teachers’ strike in 2012. Her reason for advancing these schemes just weeks after her appointment? “I have tuition to pay and casinos to visit. (:,” Byrd-Bennett wrote to Gary Solomon, the ex-CEO of SUPES, in an email discussing their plans that was included in the indictment. Byrd-Bennett went on leave in April 2015, when the federal grand jury investigation of the corruption allegations became public and resigned on May 29. SUPES and its owners, including Solomon, have also been charged with mail fraud, wire fraud, bribery of a government official, and conspiracy to defraud the United States. You know, the usual Chicago stuff.